Consumers at Wharf Fest 2016 stop by Suzhou Tourism’s booth to sample green tea and learn more about the destination. Over the weekend, Suzhou Tourism completed a takeover of San Francisco tied to its current social media program – “A Curated Look at Suzhou's Arts & Culture - No Visa Required” – which directly targets North American travelers. As San Francisco is a major feeder market for China, Suzhou Tourism invited residents and visitors to the city alike to experience the “Venice of the East” and engage directly with the destination through a series of interactive public activities at the de Young Museum and at Wharf Fest 2016. On October 21, 2016, as part of the co-hosted ‘Friday Nights at the de Young Museum,’ an after-hours art “happenings” program, more than 1,500 event attendees were transport to the “Venice of the East” through a photo-booth experience. 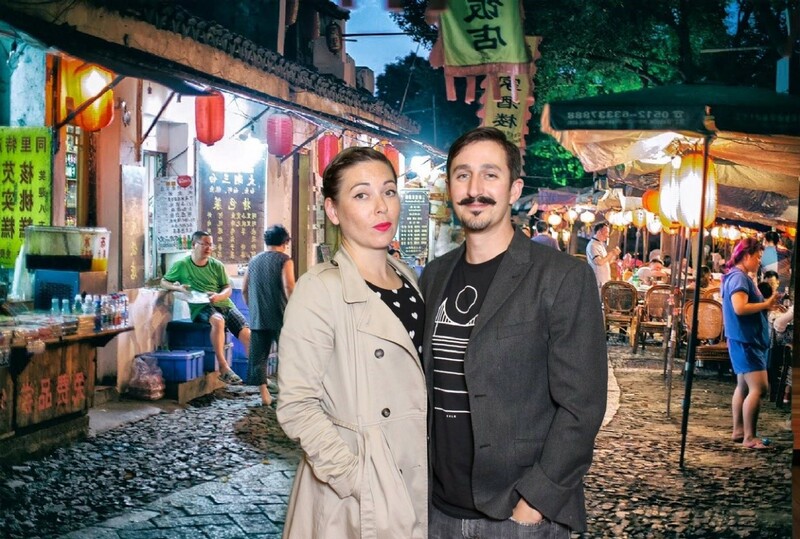 Guests took a picture or two ‘in’ Suzhou, and those images were shared across Suzhou Tourism’s social media channels. 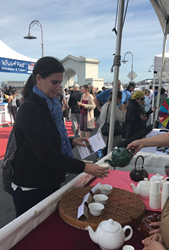 The following day on October 22, 2016, Suzhou Tourism participated as the title sponsor at Wharf Fest 2016 – one of San Francisco’s top cultural events that took place at Fisherman’s Wharf, which is the number six top attraction in the United States based on visitation and home of the iconic annual Wharf Fest event. More than 5,000 consumers attended the event and stopped by the Suzhou Tourism booth to learn about the destination and enjoy complimentary samples of green tea from the Suzhou region. Throughout the weekend, travelers were encouraged to visit Suzhou Tourism’s website TravelToSuzhou.com, follow @VisitSuzhou on Instagram, Facebook, and Twitter, and converse with the destination using the official hashtag #TravelSuzhou for the chance to win a trip for two to Suzhou. Suzhou, the "Venice of China," is known for its elegant stone bridges, canals, flowing water, and noteworthy architecture. Located in the center of the Yangtze River Delta, approximately 60 miles west of Shanghai, Suzhou is one of the oldest cities in the Yangtze Basin dating back more than 2,500 years. The city boasts the beautifully manicured Classical Gardens of Suzhou, many of which have been designated a UNESCO World Heritage Site. Each year, millions of tourists travel to Suzhou to experience the destination’s more than 400 attractions, ranging from pagodas and temples to historical districts and world-class museums. As the largest industrial city in China, Suzhou continues to develop, such as the Suzhou Industrial Park (SIP), which boasts five-star hotels, the iconic Lake Jinji, and Asia’s largest over water Ferris Wheel. Patrons at the DeYoung Museum in San Francisco experience Suzhou with an interactive photo booth.